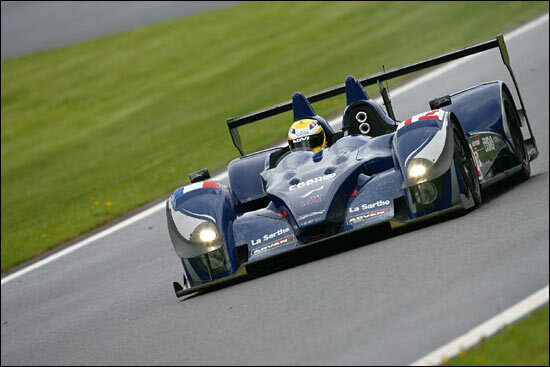 Having made his name, in prototypes, in the then-new Courage C65 in the 2004 Le Mans (Endurance) Series, partnering Jean-Marc Gounon to the LMP2 title, Sam Hancock will race one of the factory’s two LC70 Mugens at this year’s Le Mans 24 Hours. 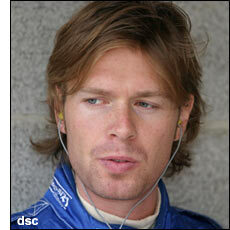 His partners will be the Scot Gregor Fisken and Swiss driver Alexander Frei. This will be Sam Hancock’s first appearance in LMP1 at Le Mans, but his prototype experience goes all the way back to the Kremer Lola, in SR1, in the 2001 FIA Sportscar Championship. He raced at Le Mans last year, in the Intersport LMP2 Lola, and his qualifying and race speed took the car to the head of the class, until retirement at almost half distance. He was joined then by Fisken and Liz Halliday, so two-thirds of that trio is back for another crack at the big race – but in the top class this time. “I’m hugely excited about this opportunity and very grateful to all those involved who have helped make it a reality,” says Sam Hancock. “I’ve had some great results with this fantastic team in the past and I am convinced that with their awesome new LC70 chassis, an impressive engine from Mugen and promising new tyres from Yokohama, we have a really good chance at a finish in the top eight or ten overall. Neither Fisken nor Hancock raced an LMP1 at Spa recently: both were in LMP2s, Gregor Fisken in the Rollcentre Radical and Sam Hancock in the Binnie Motorsports Lola Zytek. The Le Mans merry-go-round sees these two endurance racers back together for the 24 Hours though. We’ll be looking to Sam Hancock to show more than top ten form next month, in qualifying at least. This is the Gounon / Frei LC70 at the Spa 1000 Kms.